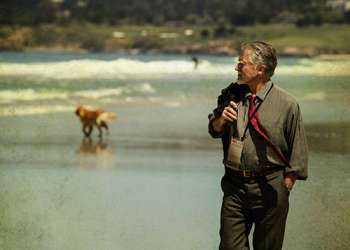 When booking a meeting at the Monterey Conference Center it’s nice to know that your attendees can enjoy a diverse array of dining choices, all within walking distance. Whether you’re looking for a quick bite, meals with ocean views on Old Fisherman’s Wharf or a place to host a formal group dinner party, here are 10 walkable options. Owner Dominic Mercurio’s family is part of Monterey’s fishing industry legacy, opening the Wharf’s first Italian seafood restaurant. Family photos fill restaurant walls, and guests enjoy dishes made from Dominic’s grandmother’s recipes. Must-try: grilled wild abalone served with champagne cream sauce. Passersby often spot apron-clad restaurant owner Chris Shake continuing his father’s tradition of greeting guests and offering free samples of his award-winning clam chowder. Diners enjoy fresh, sustainably sourced seafood, steaks, pastas and fresh-made desserts. Must-try: clam chowder, of course! Served in a large, garlic butter-toasted bread bowl. Abalonetti’s offers the largest outdoor seating on the Wharf and accommodates groups from 20 to 50 people, with breathtaking harbor views from every table. Must-try: calamari! Choose from nearly a dozen different squid dishes or Monterey’s only fresh, abalone sandwich, the Abalonetti BLT. 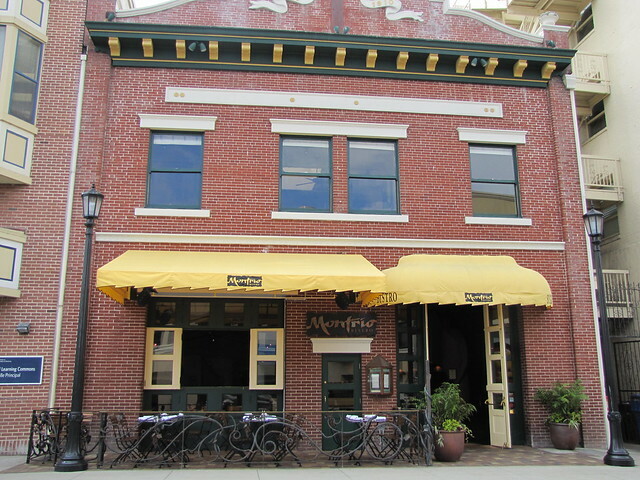 This beautifully restored brick firehouse-turned-restaurant is warm and inviting. Chef Tony Baker’s green-certified establishment offers dishes inspired by the best European and American cuisine. Private rooms are perfect for intimate dinners or large parties of up to 120 people. Must-try: organic butternut squash ravioli baked with Granny Smith apples, Napa cabbage, brown butter and candied pecans. Guests enjoy locally sourced gastropub-influenced fare paired with any of 20 draft beers brewed on-site. Sit inside, on the shaded patio overlooking Alvarado Street or in the 50-seat beer garden. Must-try: warm ginger Bundt cake doused in stout toffee and served with pomegranate whipped cream. Expressive artwork, photography and hand-blown glass create this eclectic ristorante’s vibrant ambience. Diners enjoy live jazz six nights a week, and the facility accommodates customized group functions. Enjoy nightly Happy Hours from 4-7 p.m., and all night long on Thursdays. Must-try: tomato and avocado panini topped with melted mozzarella and pesto. Inside the Portola Hotel & Spa, discover nature-inspired décor and a refined-yet-relaxed dining experience that highlights California’s cultural cuisine. Group dining options make for a perfect private party. Must-try: wine! Jacks Monterey has been awarded Wine Spectator’s 2017 Award of Excellence for its wine program. 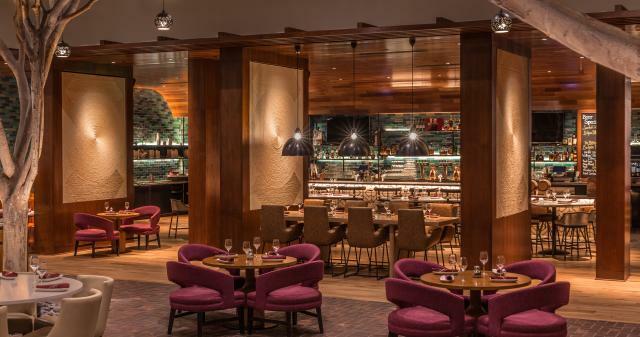 Within the Marriott Hotel, contemporary fixtures, a glowing bar and casual vibe beckon diners to relax and enjoy the fresh, farm-to-table dishes prepared under the direction of Chef Josh Silva-Arias. Must-try: grilled strips of melt-in-your-mouth tilapia rolled into a taco with avocado purée, pickled red onion and queso fresco. With equal parts class and cool, LALLApaolooza is the spot for downtown Monterey nightlife. Enjoy a full martini bar and made-from-scratch American favorites that range from wood-grilled steaks to wood-fired pizzas to handmade pastas. Must-try: roasted shrimp and crab enchiladas, smothered in a rich jalapeño sauce. 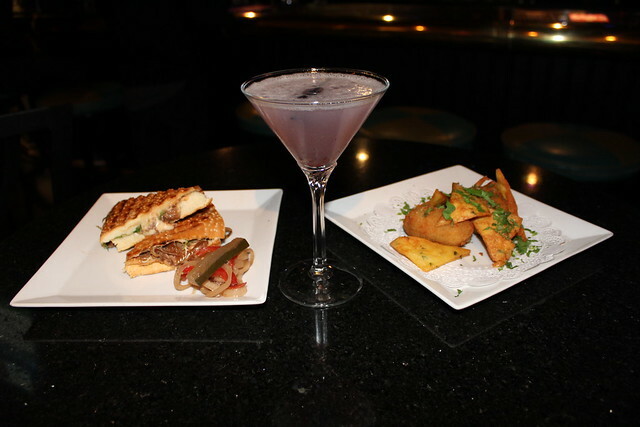 Turn 12 Bar & Grill is perfect spot for a group meal should that be lunch, dinner, happy hour or weekend brunch. The large restaurant and bar can easily accommodate groups with a diverse menu suited for everyone with hearty options like salad, pasta, burgers, pizza and more. 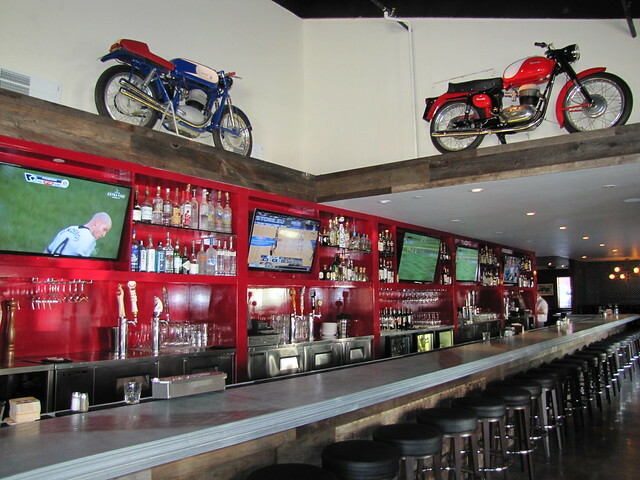 The décor pays homage to the nearby WeatherTech Raceway Laguna Seca with walls adorned with vintage race photographs and historic motorcycles displayed above the 50-foot pewter bar.